If you haven't tried our collection of gourmet condiments, you're sure to find your new favorite! 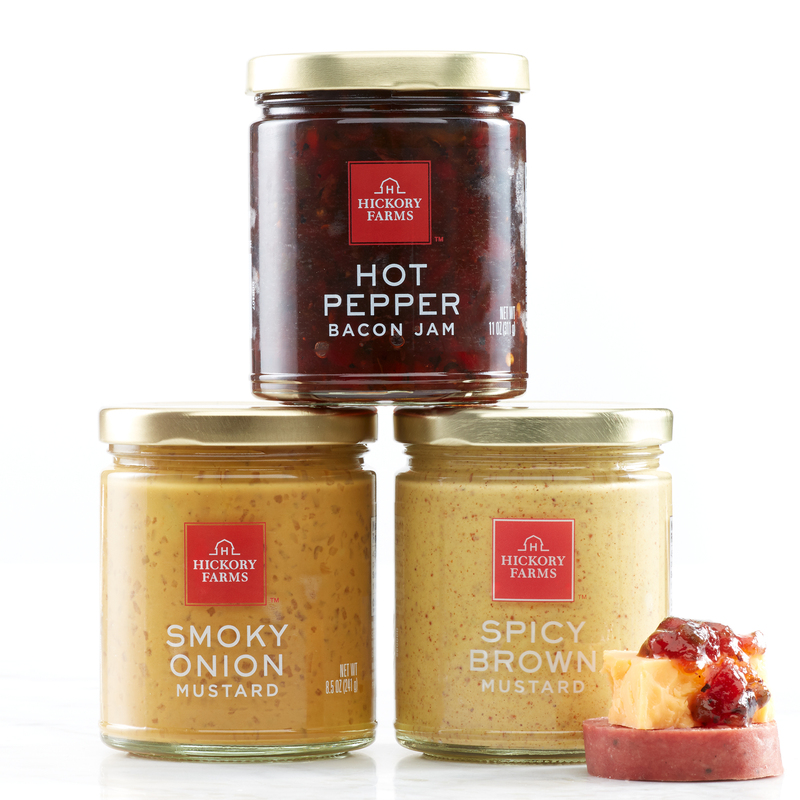 This flight includes our three favorites: tangy Smoky Onion Mustard, savory Hot Pepper Bacon Jam, and a classic Spicy Brown Mustard. Order for yourself, or as a perfect gift for the foodie in your life.